Community Groups have big ideas and LEADER Grants make those visions become realities. 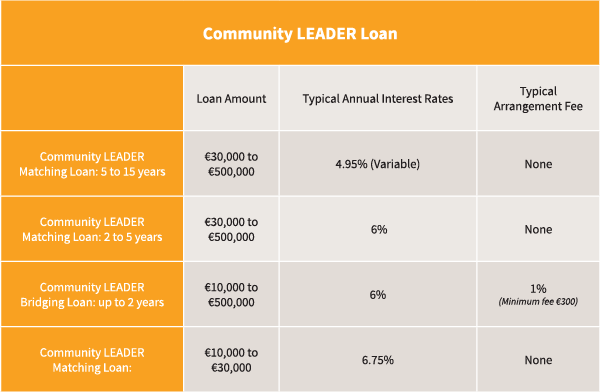 But Bridging Finance and Match Funding can be obstacles for groups trying to avail of LEADER Grants. To avail of the LEADER grant, you may need to show that your project is fully-funded. This can include demonstrating that your organisation has the ability to pay for goods and services in advance of you receiving the LEADER Grant. You may also need to show that your organisation has sufficient money to complete the project. This may be difficult for some organisations, but Clann Credo can help you by providing Bridging Loans or Match Funding Loans. 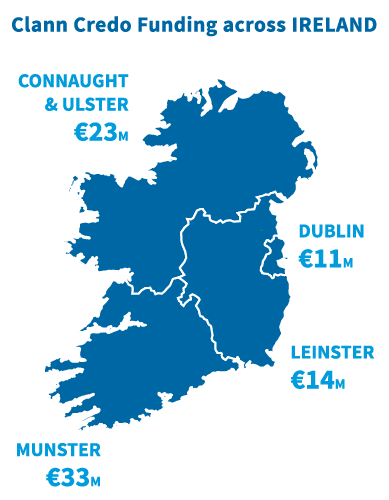 Between 2007 and 2013 Clann Credo provided over €34m to 319 LEADER projects, creating, sustaining, and supporting almost 3,000 jobs.